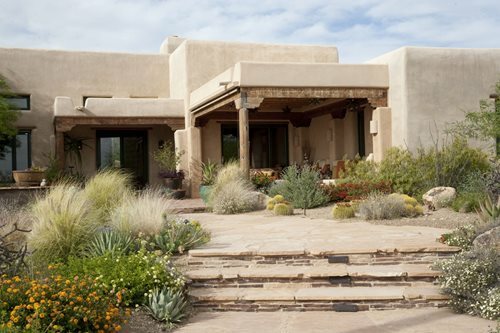 Use this design sheet to help you create the perfect Southwest landscape. You'll get ideas for color, décor, materials, plants and fabric. 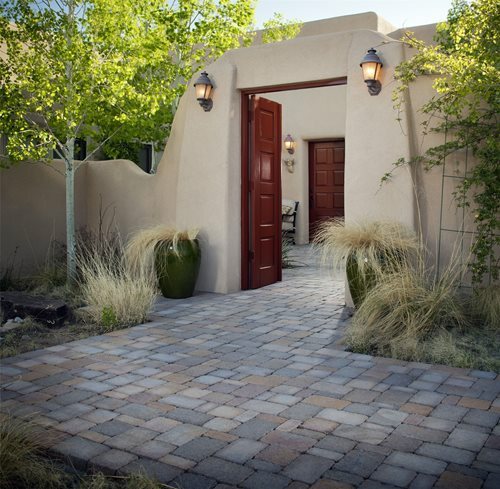 It is a great starting point for any New Mexico or Arizona landscaping project. The Southwest garden represents the dry arid regions of the west. However, you don’t have to live in those regions to admirer and implement their beauty into your own yard. 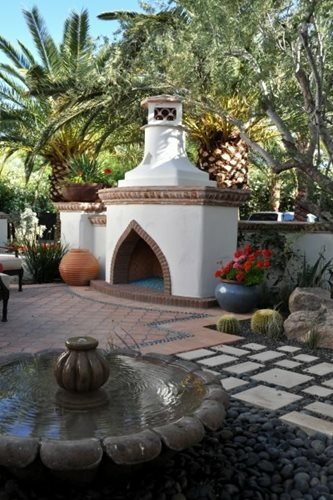 The southwest style is known for its Native American and Spanish details that contribute to the overall simple, functional and low maintenance landscape. 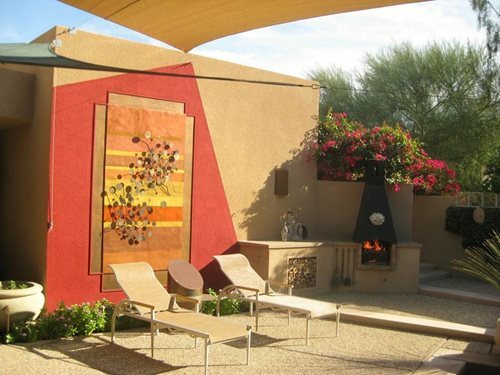 The southwest design includes native plants, and incorporates bright, colorful building materials. 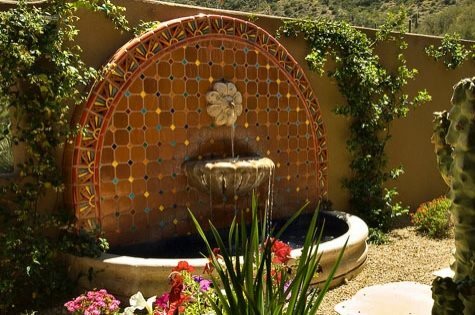 When it comes to hardscaping materials, stick with colors like orange, yellow, red and brown that are often seen in the sunset or natural landscapes of the southwest. Use similar buildings materials in areas like driveways, walkways, and walls to keep a consistent flow throughout the design. 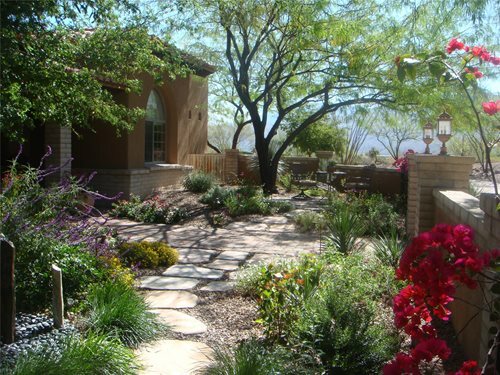 Decomposed granite is available in many desert color options and is a great material choice for walkways. Using unique brightly colored décor and plantings will make the landscape pop in areas and add character to your yard. 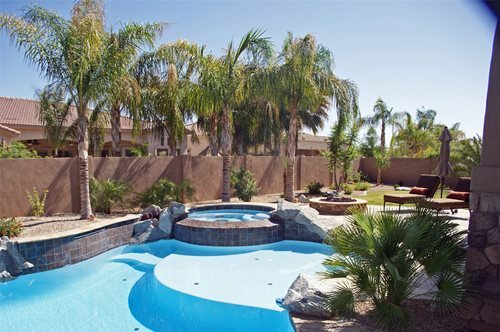 Lawns - are usually not incorporated into a southwest garden unless the homeowner has children or pets in need of some open play space, however, some just prefer the look of having turf in their plan. Design a small area with a turf species that is drought tolerant, or you have the option of using artificial turf as well. 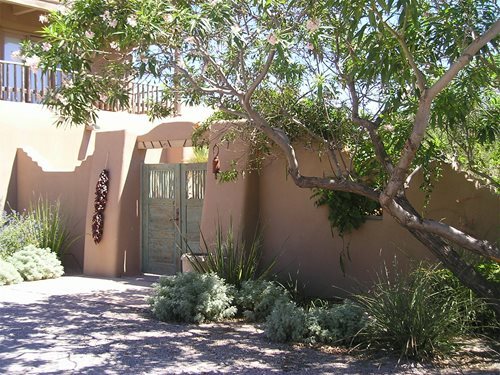 Lighting - is important when showing off the appeal of the southwest design in the night as well. Accent lighting enhances the color, shape and native plants used in your landscape.